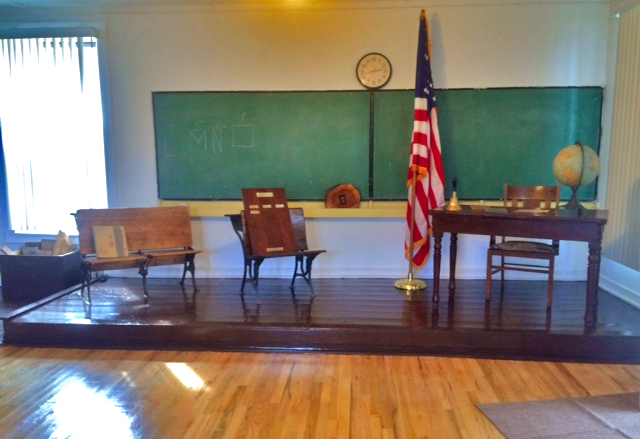 The Kingston Schoolhouse Museum is currently open by appointment only. Please call 575-895-5501 or 575-895-5169. 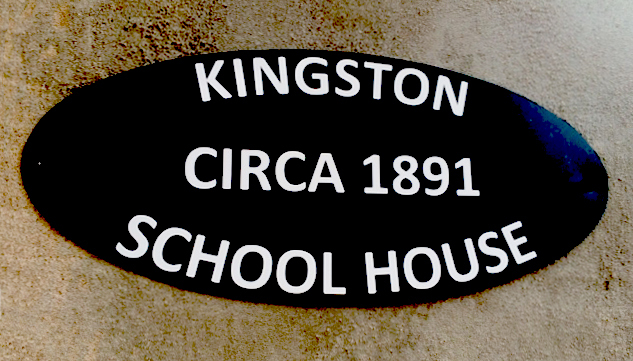 Kingston's first school was probably built soon after the town was established in 1882. It was a typical one room building of wood frame construction that served all grades and was in school precinct 3. Before long, Kingston had 22 saloons but it didn't have a church. The Methodists and Episcopalians began using the little schoolhouse on Sundays as their place of worship. In 1890, a disastrous fire burned on the north side of Main Street, which included the school. The 3 school board directors, David Disinger, John Corn and Robert Reay, decided to sell the property to the Episcopal Diocese and choose a new location for the school. 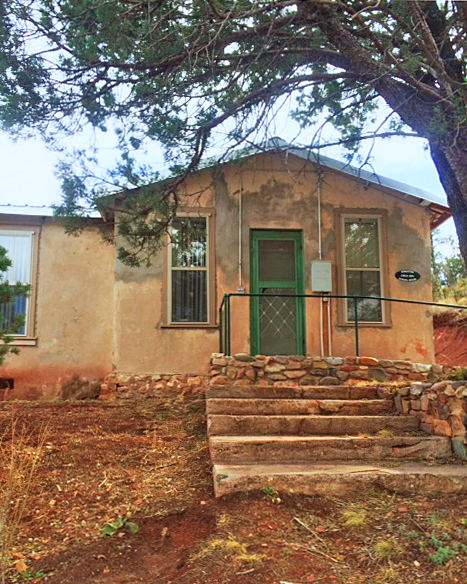 The new school was also one room but constructed of adobe. It had a wood burning stove for heat and both single and double desks for the students. The water source was a crock with a spout and a bucket on the floor to catch the drips. A gas lamp hung from the center of the ceiling as an additional light source. The teacher's desk was located on a stage up front. Kingston had a population surge and in 1935 a room was added to the east side of the building, about doubling its size. The school eventually closed in the 1950's. The building is now owned by the Spit & Whittle Club of Kingston. It was formed by the miners in the 1880's as a social club. As it is still in operation today, it is one of the oldest, continuously active social clubs in the west. 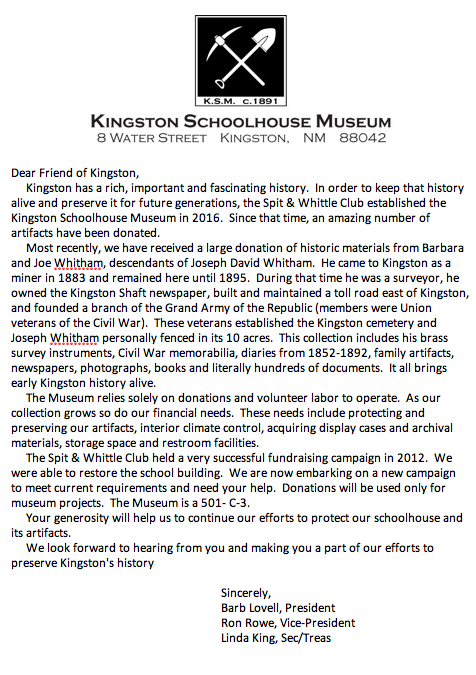 In 2012, Kingston held a state centennial celebration in an effort to raise funds to restore the building. Our mission was accomplished and the little schoolhouse is now ready to serve our community for many more years. Most recently, it has become the Kingston Schoolhouse Museum. We are celebrating Kingston's past and preserving its history. It will no longer hear the voices of Kingston's children, but it will be thoroughly enjoyed by the dedicated members of the Spit & Whittle Club who have made sure that it will be here for future generations.